Vintage stereo equipment was built to last and when treated with simple respect, turntables, amplifiers and speakers last for many lifetimes. The trend in manufacturing over the past four decades has been to create increasingly disposable electronics. Consequently the value for money goes up as the equipment gets older. An amplifier that cost your ancestors $800 in 1972 was a major purchase, costing them many hard-earned paycheques. Today you can buy that same amp from us for $200 and yet it works as well as ever. Your ancestors would be horrified to see you pass up on such a deal by investing thousands of dollars today in a comparable amplifier on the new market, especially given that the older amp is still working after all those years, while the new one… well only time will tell. 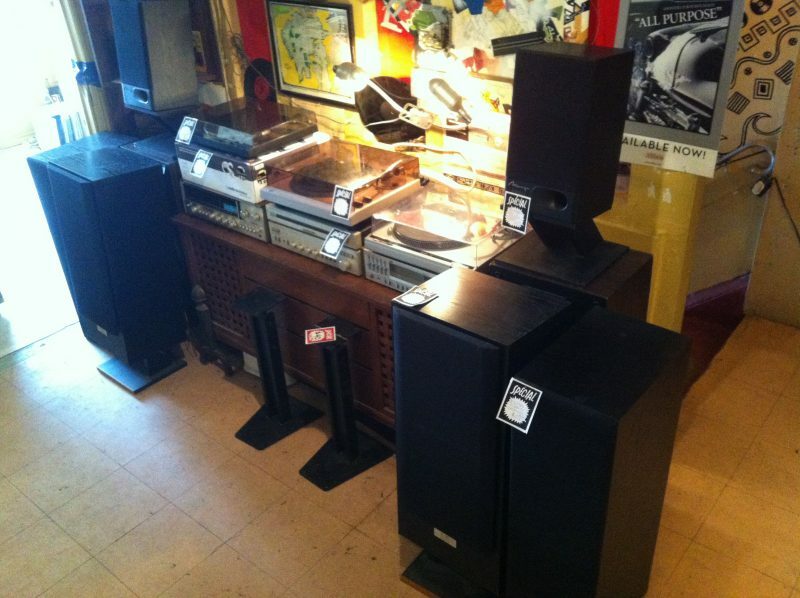 We buy only the most reliable brands which we test and refurbish as needed in order to offer you a modest choice of turntables, amplifiers and speakers at a reasonable price at all times. We are always glad to have a chance to show you what we have on offer by giving you a demonstration.